I turned this from the bark of a Giant Sequoia tree which was gifted to me from someone here in the IAP. Since it is made of bark it doesn't qualify as a pretty wood. I think it does qualify as a pretty pen. 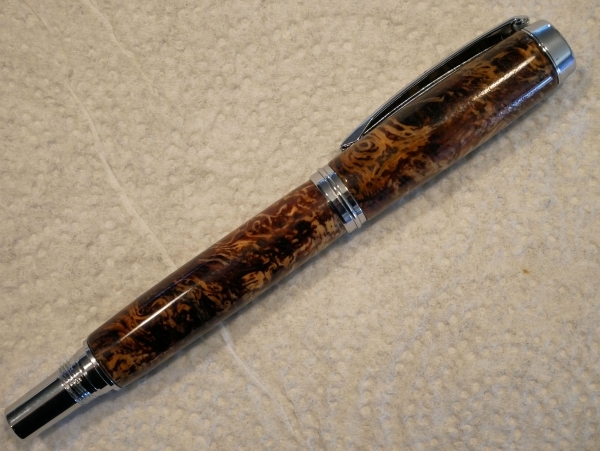 This second pen is a stabilized maple burl. Very nice on both. Well made and matched. I like maple burl but for me it sometimes warps out of shape. I think bark should qualify. That one for sure. 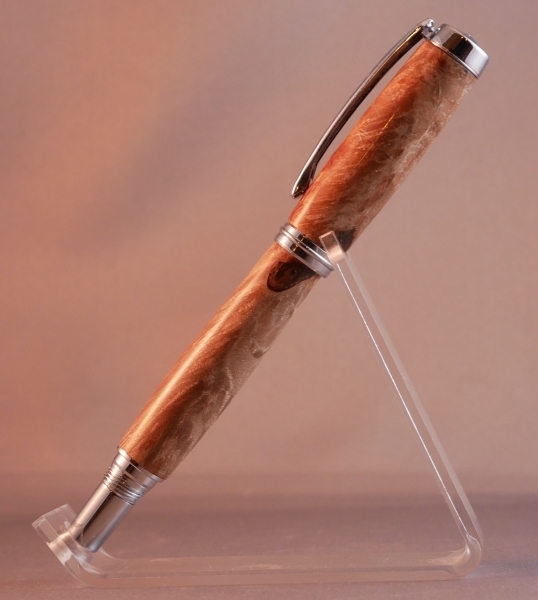 The stabilized Maple Burl is beautiful; but the Sequoia Bark is incredible. 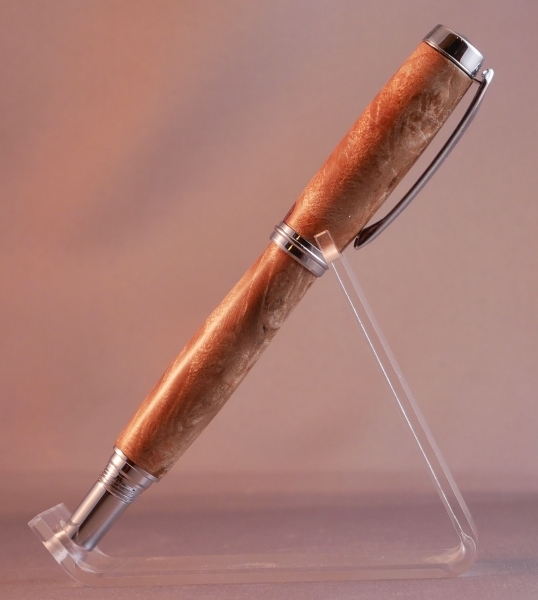 I will also vote that it is part of the tree.. it qualifies as part of the tree... And it thus is a Pretty wood pen! Even if contraindicated, it is a beautiful pretty pen! 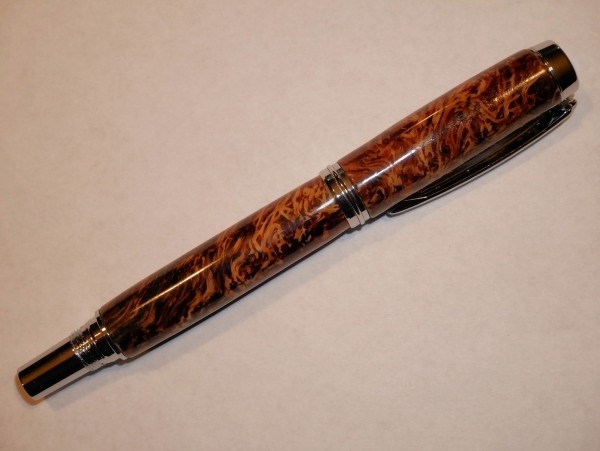 I will go along with others and say that is a wood product pen and should qualify. It is beautiful. Nice job turning it. I am fine with Brian's decision not to allow the bark pen into the pretty wood contest. He has to draw the line somewhere and he is technically correct. Running contests is a lot of work and he gets a lot of entries in the pretty wood contest. Thank you for your positive comments about both pens. You have a winner there. I would think any part of the tree should qualify in the contest. Either way beautiful pen.